The Center for Innovation Management Studies (CIMS), based in the NC State Poole College of Management since 2000, has been helping companies in a broad spectrum of industries embrace innovation for more than three decades. It also works with industry groups to bring innovative solutions to concerns affecting all their members. That’s the case with a CIMS project currently under way with the American Coatings Association (ACA). 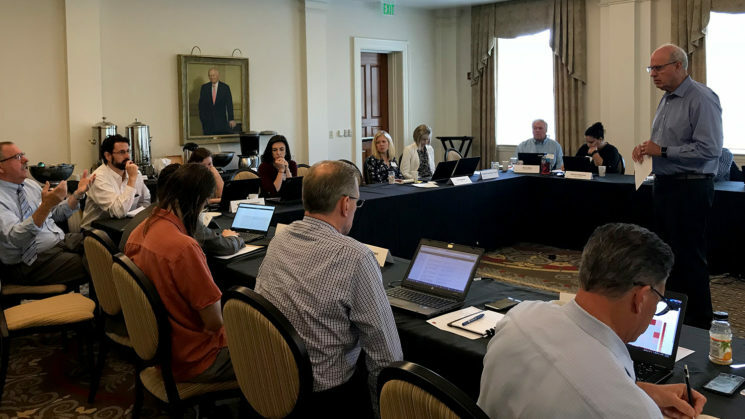 Its goal is to develop a system that will provide current information on health and environmental studies or reported effects that may be emerging on materials of interest in the ACA members’ supply chains, so that they can proactively guide their formulation changes. What materials of potential interest are used in coatings? Which of these materials are referenced in public forums as potentially harmful to human health? Which of the materials are being researched or evaluated for substitution? Rakesh Ravi, CIMS data scientist, was among the ACA project team members discussing its details with ACA members during a progress update. Answering these questions would allow a company to more quickly adjust its product design, manufacturing and application efforts, potentially preventing supply disruptions and advancing innovation, explains Rakesh Ravi, CIMS’ data scientist. The answers would come from data gathered by periodically monitoring material information sources on the internet such as science journals, government websites and blogs. The system being developed by the CIMS team also would provide the ACA and its members with a trend analysis showing how the number of occurrences of these materials in the information sources varied with time. With this project, ACA is tapping into the big data analytics and information technology expertise of researchers at CIMS, Poole College’s Department of Business Management, and NC State’s Institute for Next Generation IT Systems (ITNG). The multi-year project is funded by a $1 million grant to CIMS, the center’s and Poole College’s largest industry grant to date.